Byloka - Enjoying Taiping Raintown Journey. A private tour to discovery my hometown's historical places that including more 30 first in country and also is the 2018 Sustainable Destinations Top 100, Taiping & century fishing village, Kuala Sepetang (formerly knows as Port Weld) . Enjoy the local foods & drinks like fish ball char kuey teow, local seafood, fried sweet banana, cendol, hor ka sai, black coffee etc. Meet up at meeting point. Walk a long the first public lake garden in country previously is tin mine site under the rain tree. Visit the most historical coffee mill in country, the aroma of black coffee. Taiping city tour on the way to next point. Visiting the most branded mineral water factory in country (only available on weekday) & their ecopark. Enjoy the local signification foods. Visit the Larut Wars story's museum. Explore the colorful of dragon joystick. Visit the largest & historical black charcoal factory in country. Explore the making process of it and the history. Explore the fishing village of Kuala Sepetang before the boat tour start. Enjoy seafood dinner before end trip. Join my private tour to discovery Taiping & Kuala Sepetang. Recently Taiping listed in 2018 Sustainable Destinations Top 100. Visit Taiping Lake Garden, heritage city tour, oldest coffee mill, mineral water factory & ecopark, enjoy the local food for lunch, Larut Wars story's museum, colorful of dragon joystick, black charcoal factory, mangrove forest boardwalk (2019 temporary closed for maintenance), boat tour for fishing village river cruise with eagles catching the foods and feeding the fish in fish farm, having seafood dinner before leaving. The words in here can't describe everything, please book my trip to feel your own & experience its. 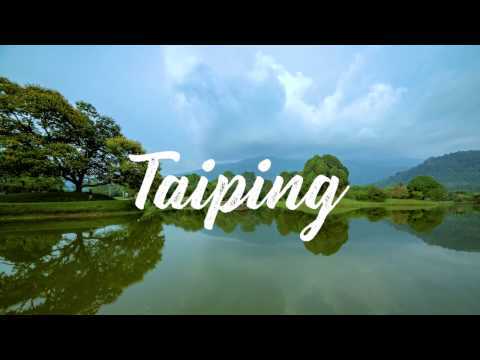 You will definitely fall in love with Taiping end of the trip. Raincoat, umbrella, cap or hat, sun block lotion, mosquito repellent, personal medicine, passport/ID. Free hotel pickup at Taiping area only. Extra charges apply for any pick up outside from Taiping. We recommend to take train from Kuala Lumpur or Butterworth (Penang) to Taiping Railway Station. Please plan your journey if taking public transportation. Plan may have change according on that day weather. Please keep safe your belongings.